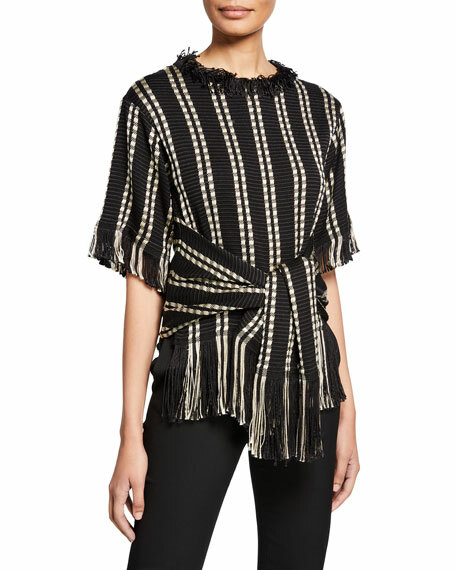 Oscar de la Renta silk blouse with rope-tassel accents. Spread collar; covered loop-button front. Long sleeves. Relaxed fit. Shirttail hem. Silk. Made in Italy.